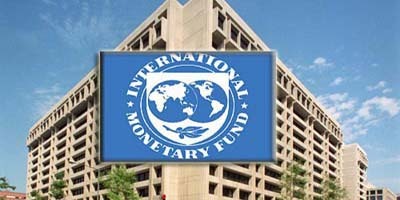 WASHINGTON, Aug 4 (APP): International Monetary Fund (IMF) expects 5% economic growth in Pakistan in the current financial year, an IMF statement said on Thursday, praising solid performance in the fourth quarter of the previous fiscal year. The statement was issued in Washington following the successful completion of the 12th and final review of Pakistan’s economic performance under the 3-year Extended Fund Facility programme. The IMF delegation, led by Harald Finger, visited Dubai from July 26 to August 4, to conduct discussions on the final review with the Pakistani officials led by Finance Minister Ishaq Dar and also included State Bank of Pakistan (SBP) Governor Ashraf Wathra, and other senior officials. The staff-level agreement reached at the talks is subject to approval by the IMF Management and the Executive Board, after which the final installment of $102 million of the $6.6 billion loan will be released to Pakistan. “Growth is expected to reach 5% in FY 2016/17, supported by buoyant construction activity, strengthened private sector credit growth, and an investment upturn related to the China Pakistan Economic Corridor (CPEC),” Finger said in the statement. Nevertheless, he said, a challenging global environment and declining exports were weighing on growth prospects. Average inflation was expected at around 5.2% in FY 2016/17, remaining well-anchored by continued prudent monetary policy. Gross international reserves reached US$18.1 billion at end-June 2016, covering over four months of prospective imports. “Programme performance in the fourth quarter of FY2015/16 has been solid. Most end-June 2016 quantitative performance criteria (PCs) were met, although the ceilings on the budget deficit and net domestic assets (NDA) of the State Bank of Pakistan (SBP) were exceeded by small margins,” Finger said. He welcomed the authorities’ commitment to take remedial actions in these areas. All indicative targets and structural benchmarks (SB) were met, except for the delayed notification of multi-year tariffs for three power distribution companies. Growth gradually accelerated, international reserve buffers have been rebuilt, and the budget deficit narrowed significantly, helped by sizeable growth in tax revenue. Inflation declined, helped by lower oil prices and improved monetary and fiscal policies. Regulatory reforms and improved energy sector performance have slowed the accumulation of arrears and begun to reduce outages. Coverage under the Benazir Income Support Programme (BISP) has expanded, and stipends increased by over 60%. Regulations to fight money-laundering and financing of terrorism have been strengthened. Despite some delays, the authorities continue to advance in their work toward restructuring and divesting ailing public sector enterprises (PSEs). The IMF official emphasized that in order to consolidate and reinforce the gains achieved in the last three years, the economic reform agenda needed to continue after the programme ended.